Years ago, finding my way as a new, (working) mother, I stayed at what I claimed to be the world’s best family resort. It was a big call; I mean how you can you claim something is the best without physically trying every single family resort out there? Truthfully you can’t. 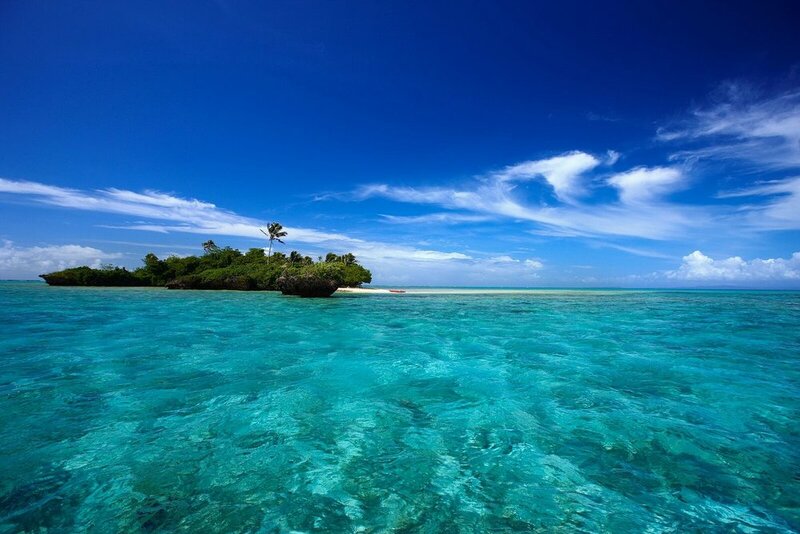 But in all my wanderings across the globe, including staying at many, many fantastic family resorts, I’ve still not found one yet that delivers like Jean Michel Cousteau Fiji Island Resort. My story (republished here) resonated with so many parents that the five star eco resort is still fielding calls and taking bookings – seven years on! So, after multiple return visits, I stand by my declaration. And, in fact, as our daughter grows older, I’ve found it just gets better with every visit. With full-time nannies and candlelit dinners on the beach, Jean Michel Cousteau Fiji Island Resort delivers the perfect family holiday. Have you found the ultimate family resort? Please tell me all about it. I’d love to hear more. IT'S a big call. World's best family resort. I haven't actually been to every family resort in the world; neither do I have older children. But this has got to be a serious contender. And I'm not the only one who thinks so. When frazzled parents hear I'm a travel writer who regularly holidays with my now two-year-old (Ella's taken 40-plus flights since she was three months old), they get a certain look in their eye. Often, they lean in close, so their children are out of earshot, and ask me where in the world they can go on holiday where, you know, they'll actually get a break, too? They're tired; they've tried hotels where all five of them sleep in the one room and self-contained houses and apartments where mum ends up cooking and cleaning up after her brood three times a day. They've tried resorts with kids' clubs, lagoon pools, package deals offering free meals and accommodation for children under 12. And don't get me wrong; there are plenty of terrific places that cater to families. But if you actually want to have one of the best family holidays going - one where mum and dad can hand the children over to specially trained nannies and staff, relax by the pool, go for a snorkel or dive in world-renowned reefs, have a peaceful lunch by the pool, have their children tucked in at night and stroll hand-in-hand along the sand to a romantic candlelit dinner safe in the knowledge they are in the best of hands, I have but one answer for them. "Jean Michel-Cousteau Fiji Island Resort, you say?" Nodding, I reply: "That's all you need to know." This five-star eco-resort, situated at Savusavu on Fiji's second-biggest island, is possibly my favorite spot in the world. And I realise sharing it in this way could mean there may not be a spare bure next year. But I feel a sense of duty to tell other parents about it. And don't just take my word for it. 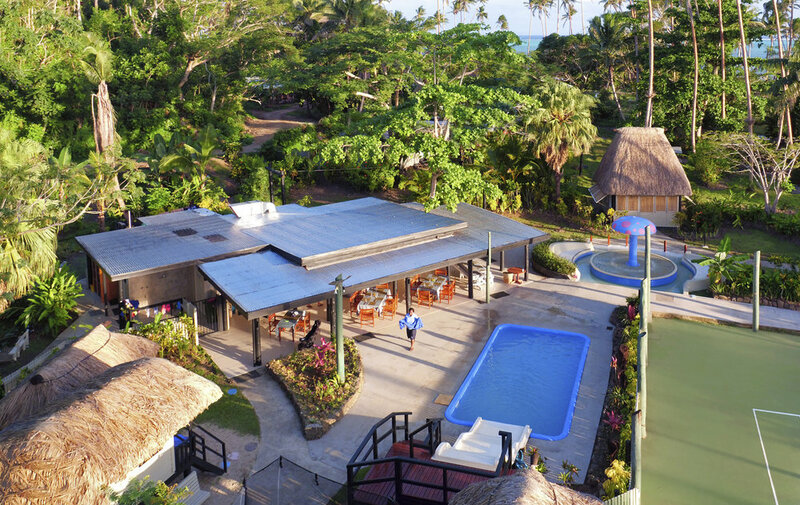 The property, which has 25 bures on a former coconut plantation, was voted Best Overseas Family Resort in the Luxury Travel 2006 Gold List as well as Frommer's Best Family Resort in Fiji. Frommers dubs it "the finest family resort in the South Pacific". It has won Fiji's Leading Resort and Australasia's Leading Green Hotel in the World Travel Awards, along with a string of other accolades over the years. You have only to look at the multiple entries from parents on tripadvisor.com to realise there's something special about this place. For us it was our third time at the resort. It's where we were married at sunset in a beachfront bure. We loved it BC (before child) but with Ella in tow it really showed us how brilliant this resort is for families. So the lowdown: every child under five gets their own nanny from 8am to 9pm (later or earlier if you need it) each day. Children up to the age of 13 are paired with a buddy (with a ratio of one buddy for a maximum of five children) and all children have free access to the Bula Club, considered the best kids' club in the Pacific by many in the travel industry. The club runs the Lei Lei Holiday for 0-5-year-olds and the Marau Holiday for children 6-12. 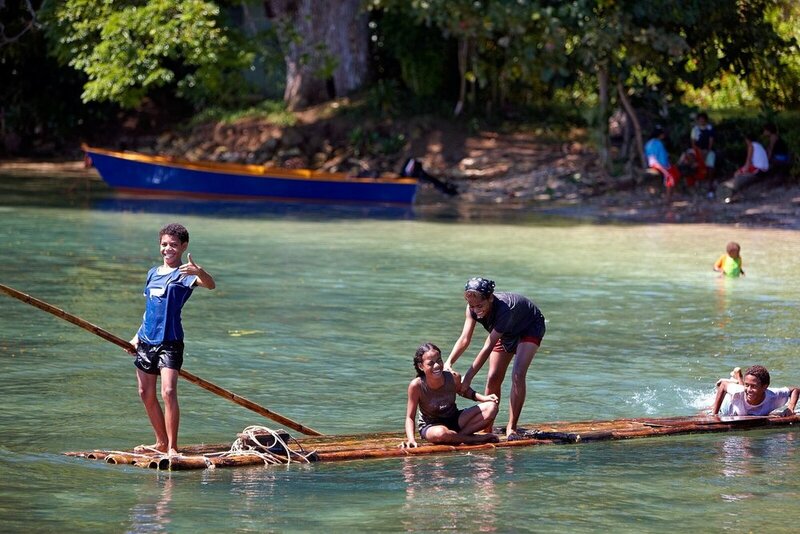 Activities include spearfishing, snorkelling, Fijian basket weaving, fishing, volleyball, hiking and kayaking. Younger children do face painting, T-shirt painting, crab hunting, shell collecting, basket weaving, visiting a local Fijian village and more. The Bula Club is designed to allow children to experience Fijian culture and programs are tailored to suit individual families. On our arrival, we were greeted with a big "Welcome Home" banner and several staff members, who we'd met on previous stays, serenaded us on guitar with a welcome song. We caught up with Jope, who had been our "unofficial" best man and hugged Camari, our favourite waitress. At reception, general manager Greg Taylor greeted us like long-lost friends over a welcome cocktail. Ella, however, was nowhere to be seen. "Don't worry," he told us as he saw us looking around in alarm. "This is what you'll experience pretty much most of your stay." Ella had been scooped up in the arms of her nanny Joanna and was being shown around the Bula Club. The Bula Club facilities are fantastic - a fun mushroom pool, a toddler pool and a larger family pool with day beds. Two have waterslides. The nannies and buddies swim with the children every day, while a three-piece band visits each day at 5.30pm to serenade the children while they eat. Ella absolutely loved this and would dance and sing along to The Lion Sleeps Tonight and Twinkle Twinkle Little Star. Parents get to choose their children's meals each day and the food is of fantastic quality. After dinner, older children either watch movies or are put to bed by their parents or nannies in traditional high-ceilinged (that is, non-airconditioned) bures, designed to capture the breeze. Every night, Joanna minded Ella so we could have a cocktail and a three-course dinner by the lantern-lit pool. During the day we lazed by the serenity (adults only) pool, went snorkeling and diving at world-class dive sites that the area is renowned for (hence the Cousteau connection), swam laps between the jetty and the pontoon, had a picnic on the resort's private island Navivia, read books and slept. About five each day, we would head to the Bula Club. Often Ella would be in the pool with Joanna, sliding down the slippery dip, squealing with delight. Almost every day she went hermit crab hunting and built sandcastles with the other children and their nannies. Our toddler, who had been a terrible eater, was tucking into her food. Our nanny, a single mum with her own five-year-old, patiently minded our sleeping child each night from the balcony of our oceanfront bure and sewed Ella a Fijian grass skirt, miniature bikini bra and matching headpiece - a surprise for her second birthday to be held at the Bula Club. And what a fun party it was. Balloons were strung up, the band played and everyone sang "Happy Birthday" to Ella as she blew out the candles on her chocolate mud cake. The other parents were as delighted with the charm and warmth of the staff as we were. So, go ahead and book. But please, leave at least one bure free next year. We're already planning our trip back. These bustling, colourful markets are the hub of the small township of Savusavu and Saturday is the day the locals traditionally do their shopping. Check out the freshly caught fish, crabs and prawns being sold by fishermen and piles of fresh vegetables and fruit grown by the farmers. About 20 kilometres north of Savusavu town is a tropical rainforest where you can hike to a waterfall and take a cooling dip in the freshwater jungle pool. Most resorts offer trips to the rainforest and waterfall, however taxi drivers also know the way. Take a tour to see a working pearl farm established by marine biologist Justin Hunter and afterwards take the opportunity to buy pearls from the company's J. Hunter Pearls Fiji showroom. Tours are scheduled Mondays to Fridays at 9.30am and 1.30pm, and on Saturdays at 10am, +679 885 0821, pearlsfiji.com. Jetstar, Virgin Australia and Fiji Airways fly from Sydney, Melbourne, Brisbane and Adelaide direct to Nadi. The rate for two adults and two children (12 and under) is priced from $FJ2175 (around $1350) including tax per night for a Gardenview bure, inclusive of all gourmet meals, bottled soft drinks, Fiji water, specialty teas, ground coffee, most activities, Bula Club for children 9am-9pm, exclusive nanny for each child five and under, Fijian buddy for children six-12 years and return vehicle transfers from the local airport. Package deals and pay five, stay six promotions are available. Ph: (03) 9815 0379 or 1300 306 171, fijiresort.com. As originally published in Sunday Traveller, July 2010. Rates and travel details have been updated.